Nice hotel clean, service, location, stuff, swimming pool. Overall the Hotel was very nice espacially the location the Marina view and access to Marina from the Hotel it complete my all needs. Location is fantastic, 10 mins walk to JBR and the metro station. Staff are accommodating and helpful. The location is superb and the service is amazing! We took one bedroom option. Excellent property - large living room, bedroom and large balcony with nice view. Location is excellent for restaurants, shopping, walking and beach. Staff is very friendly and helpful - we arrived early and received a room on the 1st floor. After having rest from the overnight trip we asked to change a room to higher floor, which was arranged. Excellent location,friendly staff and very comfortable. 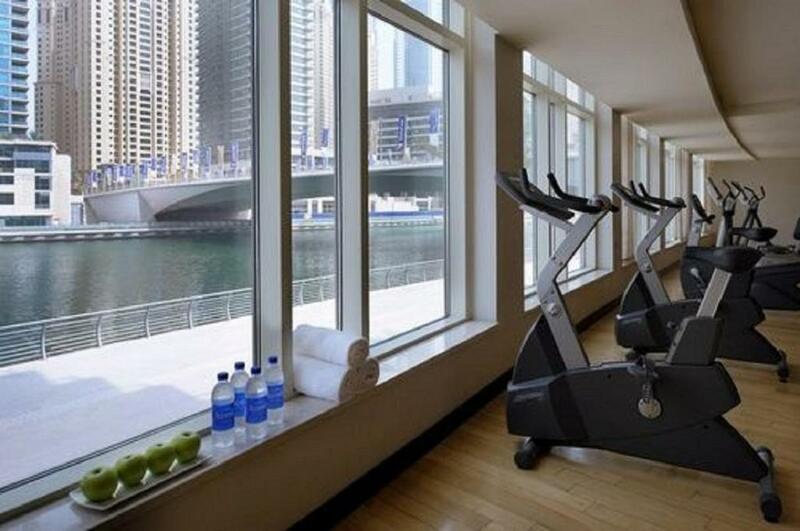 The location is excellent and within 10 min walking distance from metro station, marina mall and JBR. They have direct access to the marina. The staff is great. The apartment is well equipped. Nice place and good location. Staff were excellent! Lock in a great price for Nuran Marina – rated 8.4 by recent guests! Overlooking the vibrant Dubai Marina, Nuran Marina Serviced Residences is at the heart of one of Dubai’s most desirable locations, with easy and direct access elevators located in the Lobby level leading directly to and from Marina Walk. 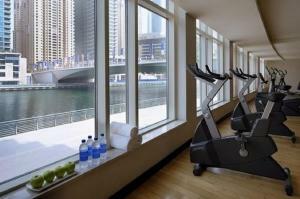 It is ideally located alongside the Marina Yacht Club and the Dubai Marina Mall, just a 1,000 feet stroll from the JBR Beach. 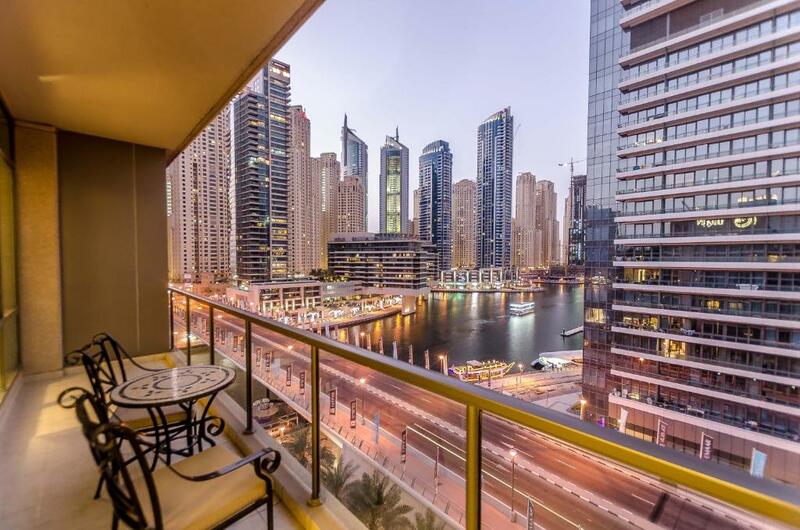 All residences offer spectacular views across Dubai Marina. 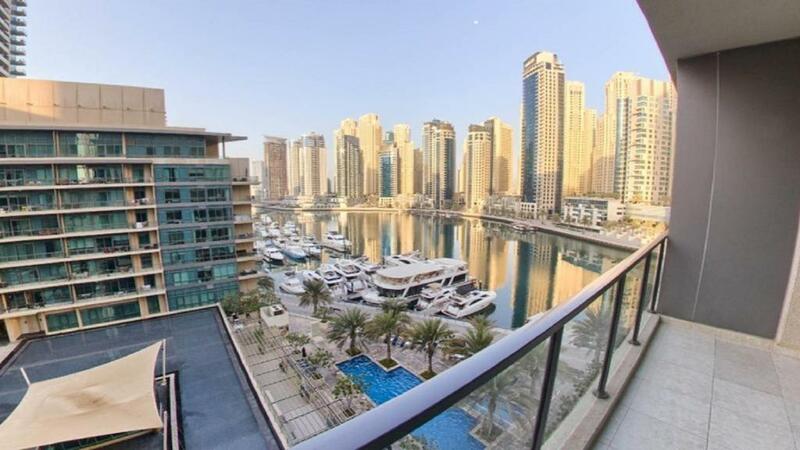 Nuran Marina Serviced Residences offers panoramic views of the Dubai Marina. The 90 fully serviced residences offer the ultimate in waterside living, each with its own private balcony, telephone with IDD access, complimentary WiFi access, Home entertainment system, satellite television, personal safe, fully equipped kitchen, combination washer/dryer, hair dryer, iron and ironing board. 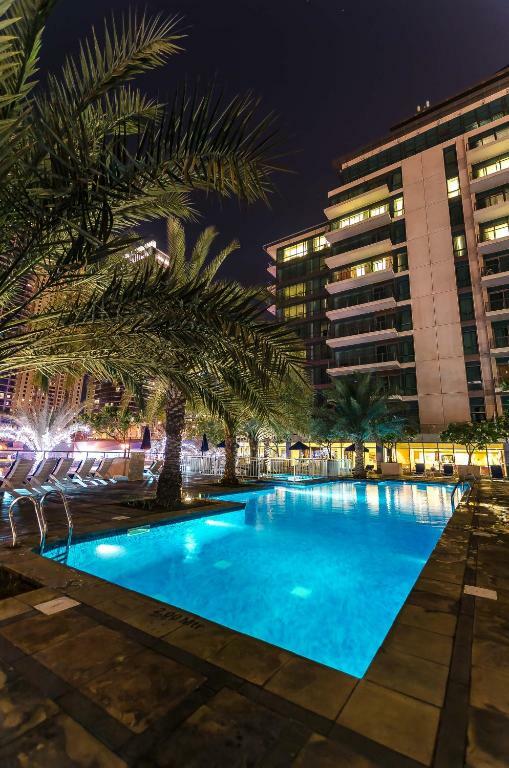 Relax on the outdoor swimming pool which includes a Jacuzzi and steam room or stay in shape at the fitness center while having panoramic views of Dubai marina. A superb range of dining facilities are also available along the waterfront of Dubai Marina, all just outside and within your reach which offers a pleasant setting for an afternoon walk. This property is a 6 minute walk from the beach. 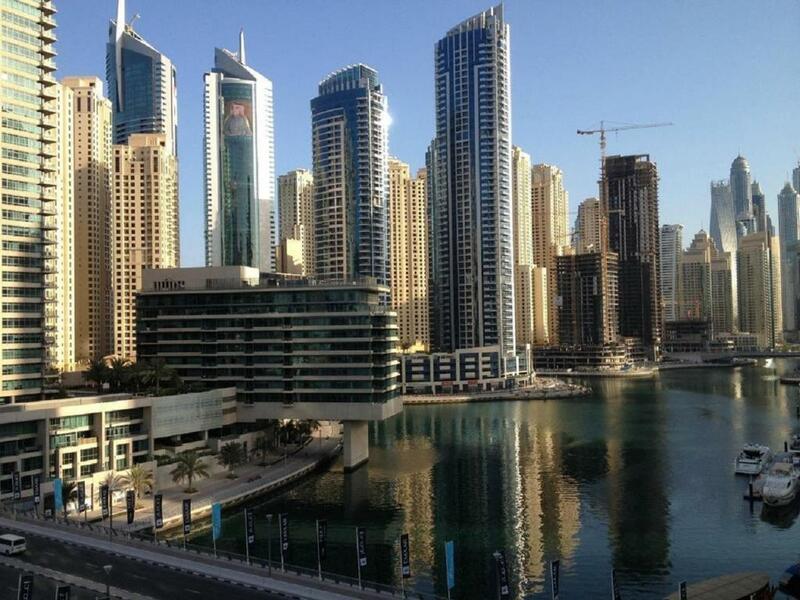 The Dubai Marina Mall is just a 2-minute walk away and there are plenty of dining options. This property also has one of the top-rated locations in Dubai! Guests are happier about it compared to other properties in the area. This property is also rated for the best value in Dubai! Guests are getting more for their money when compared to other properties in this city. When would you like to stay at Nuran Marina? This studio has an open-plan living room and a full kitchen. This large apartment features a spacious living room and a full kitchen. Please note that no extra bed fees apply for a child under 12 years old. Only one extra bed can be provided in the apartment. If the number of guests exceeds the maximum occupancy, an additional apartment should be reserved. This apartment has a balcony, air conditioning and flat-screen TV. This apartment features a balcony, dishwasher and dining area. Nuran Marina apartments are designed with meticulous care and attention to guest comfort and convenience. Luxuriously finished, spacious and beautifully appointed and most with marina views. Guests can relax at the ample leisure facilities Nuran Marina has to offer; a spacious health club, kids play area, steam room, Jacuzzi, and gymnasium. 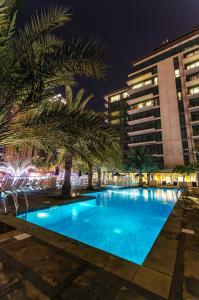 An outdoor swimming pool with stunning views of Dubai Marina. 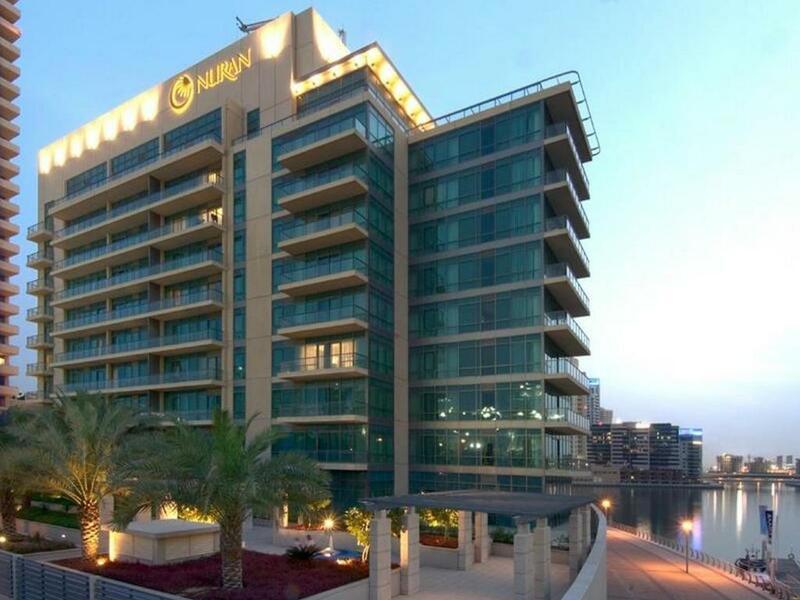 Nuran Marina is located just 3-10 minutes walking distance from The Dubai Marina Mall, Marina Walk, Pier7 and The JBR Beach. The Dubai Tram and JLT Metro Station is only a 5-minute walk. House Rules Nuran Marina takes special requests – add in the next step! Nuran Marina accepts these cards and reserves the right to temporarily hold an amount prior to arrival. Please note that bedding preferences are subject to availability upon check-in. Reservations guaranteed by debit cards might be pre-authorized by the hotel with the amount of the first night being held until check-out date. Guests are requested to present the same credit card that was used to make the reservation upon check-in. Location absolutely brilliant..a stones throw from Dubai Marina Mall as well as all the hustle and bustle of the Marina. I like the room size. Only downside is the process of getting into the pool area, your room key doesn't open the access door, so you have to wait for a member of staff, not a problem if one is there but at one point I couldn't get back into the pool after using the toilet as no one was available with a keycard. 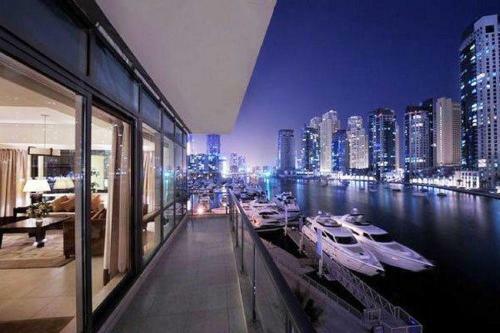 This is a great place to stay in Dubai, would definitely come again. Right on the Marina, felt very welcome when we arrived and checked out. Anything we asked for was with us in minutes. Room was nice and big with good view. Pool was lovely and is laterally right above Marina Walk. Only downside is the process of getting into the pool area, your room key doesn't open the access door, so you have to wait for a member of staff, not a problem if one is there but at one point I couldn't get back into the pool after using the toilet as no one was available with a keycard. Overall, loved our stay, we are back in Dubai in April and if we hadn't already booked, we wouldn't hesitate to come back here. No hairdryer in en-suite or other bathroom. Also needs a toaster in kitchen . More toiletries could of been provided. We had to ask for extra water everyday we stayed. The rooms are very shabby and in need of refurbishment. Every piece of furniture, whether it be the sofa, chairs, carpet, rugs all had stains and certainly not a 4 star standard and not for the price. Bathroom was also very grubby with mould on the tiles. You literally receive 2 pieces of everything, 2 cups, glasses etc which is not ideal. I had friends come around to visit and it took 3 requests to get extra glasses which all came in a variety of sizes and types. Was not informed that they would be having maintenance work outside which started at 8am - not ideal when you are there for a break.